Your price: 0,77 € tax incl. 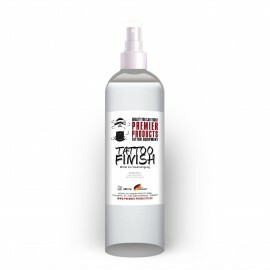 Buy 10 za 6,90 € and save 10%. Buy 100 za 57,00 € and save 26%. 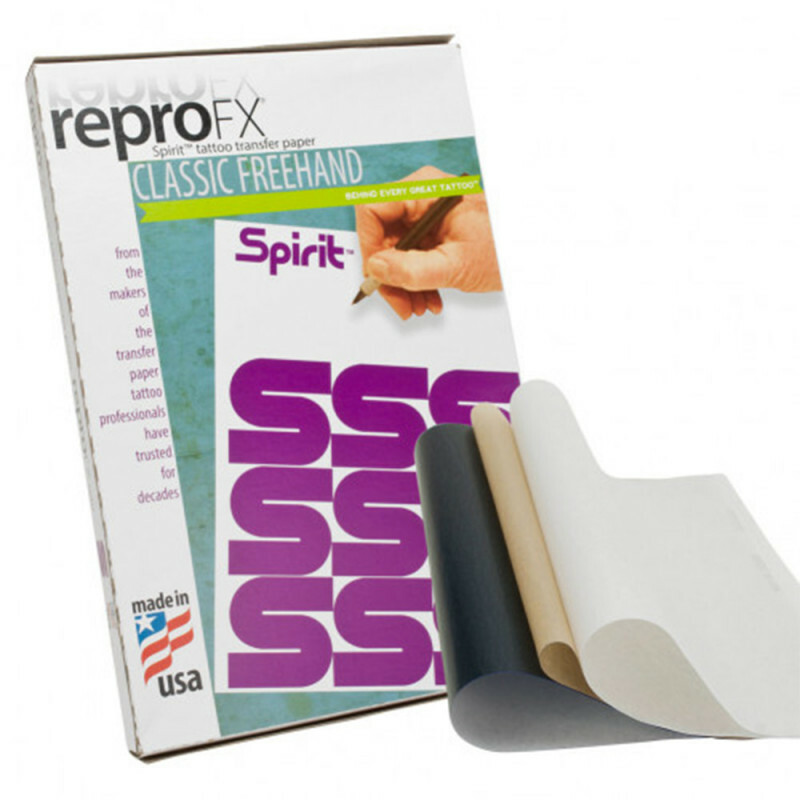 The Spirit Freehand transfer paper from global leader Repro FX is designed for direct manual drawing. Quality and high concentrate violet dye is in butter smooth and wax blend ply on main papier intended fo manual drawing. 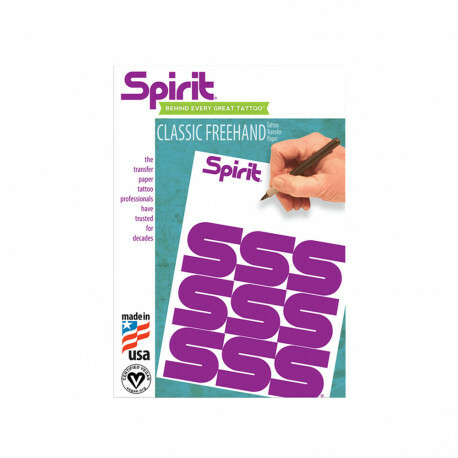 This is extremely responsive to pressure, which allows artists to introduce extreme detail to their stencils. With transfer papers, you also always need to buy transfer solutions that enable you to transfer the motive from paper to skin. The paper is non-toxic and vegan friendly. The paper format is A4.